I love their squid ink seafood pasta!! It's very light and very strong in seafood taste. The other time I tried the squid ink risotto (somewhere in Pisa), it wasn't so tasty. The risotto I had was pretty much tasteless. Perhaps it was the seafood that I like. 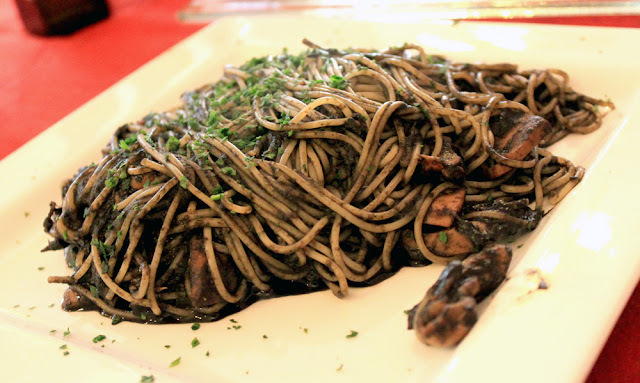 Don't you agree the black pasta is something extraordinary you hardly see it anywhere? It's just awesome! Order it whenever you have the chance to. 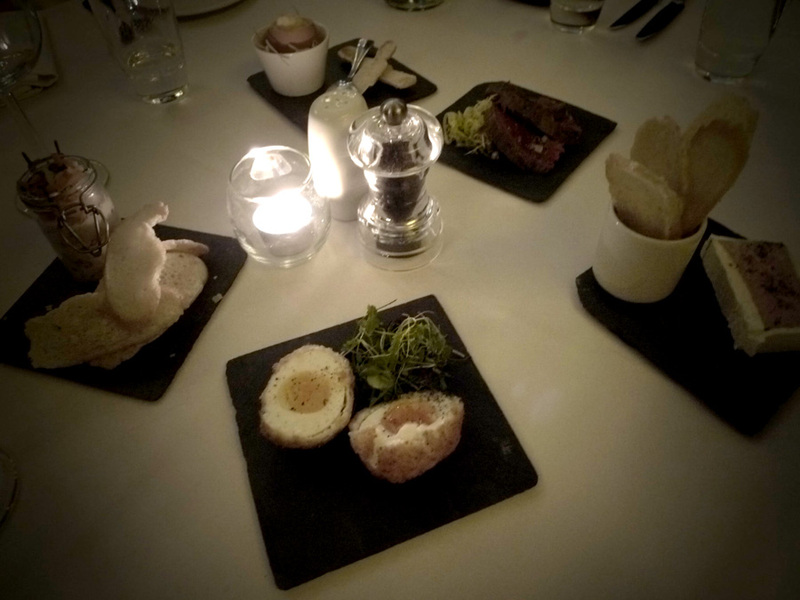 British Tapas - Chicken liver, foie gras parfait, pork and sage scotch egg, Sliced beef and I can't remember what else. These are just to starters, little bites to share. I've never liked foie gras nor encourage people to eat it, but since it's already on the table I'll just try. Turned out to be OK actually, never knew foie gras tasted good actually. 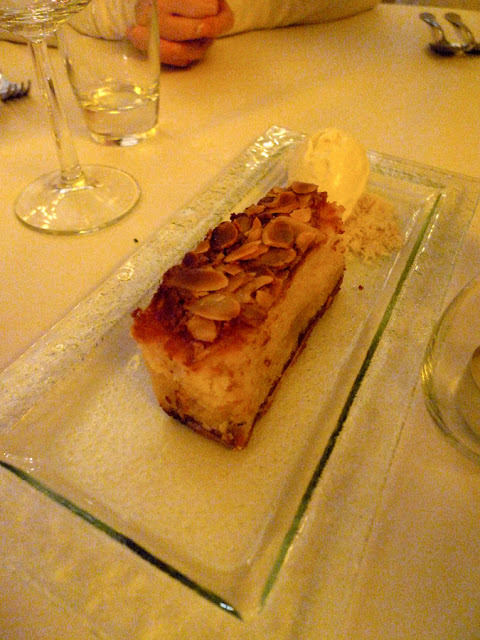 Previously I had it once in Paris and I hated it. I personally like the Pâté with bread, fish if I remember correctly. It has a combination of taste in it and it went really well with the sliced baguette. Pork chop wasn't really that great. Taste of the meat was not very interesting. 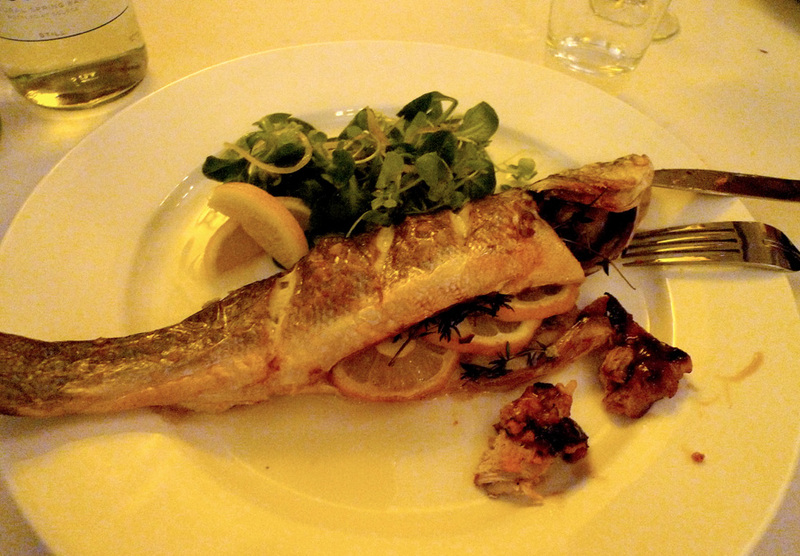 Seabass. I did not try it, but it did look good. *from far. Lol. According to the one who tasted it, she thinks it is good. Maybe I'll try it if I have the chance. Apple and cinnamon crumble tart was awesome. 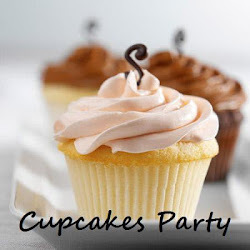 It's not really sweet and suited us who dislikes sweet stuff. Not too bad. Some cream with flakes. 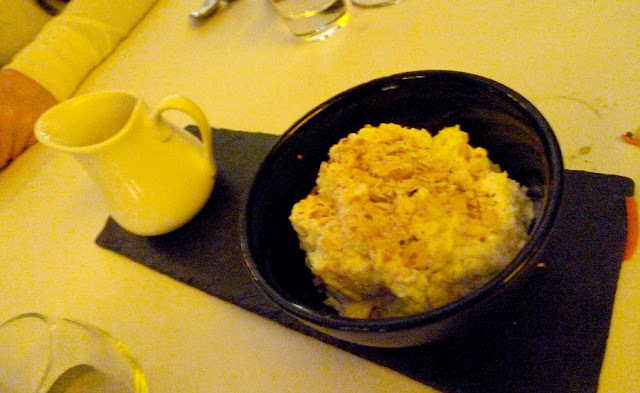 I'm not sure what this was, but it was a bowl of thick cream with flakes on it. Not the normal cream you get off the shelf, they've added something inside which makes it the superb dish to end. 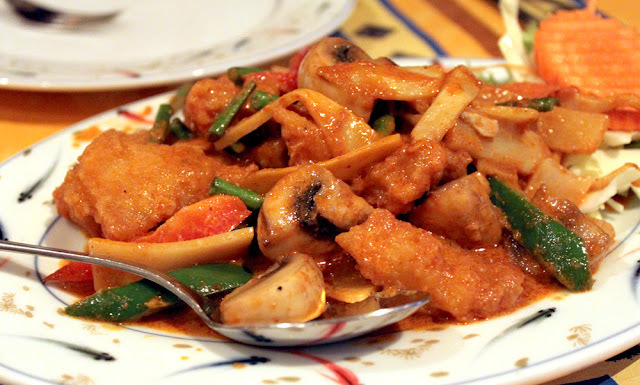 Some stir-fry fish with vegetables. I never like bamboo shoot.. That's one thing that should never exist in food!!! Even if it has to be in, the amount should be minimum. I felt like I was swallowing pieces of bamboo shoots instead. What a waste! 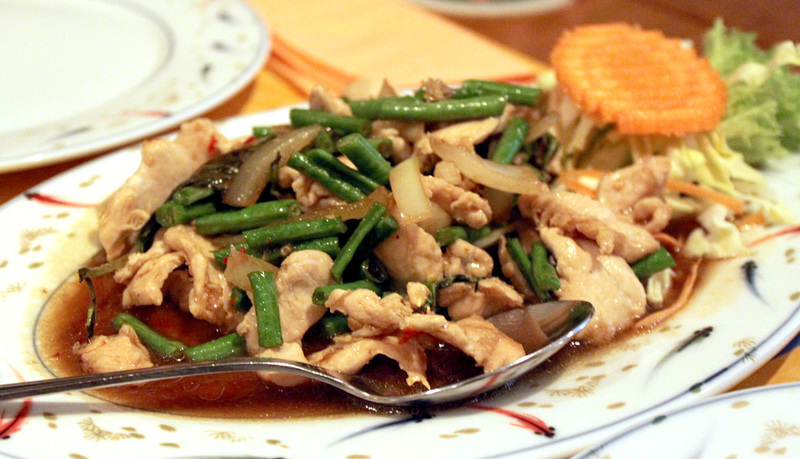 Stir-fry chicken with vegetables. This tasted like anybody can cook it. Not spicy at all, just some soy-sauce chicken? Pouring the entire bottle of soy sauce isn't going to make this dish any better! Fish cakes were OK. 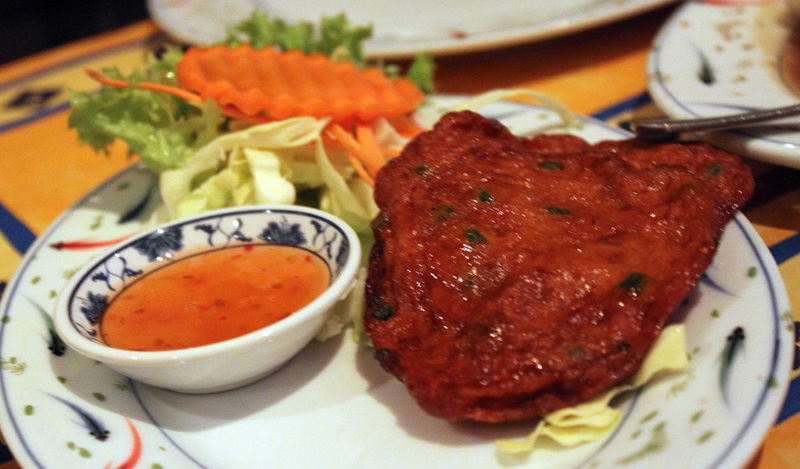 Tasted like instant food... Just buy a packet of fish cakes, deep fry it and serve with Thai sweet chilli sauce. Taa-dah. 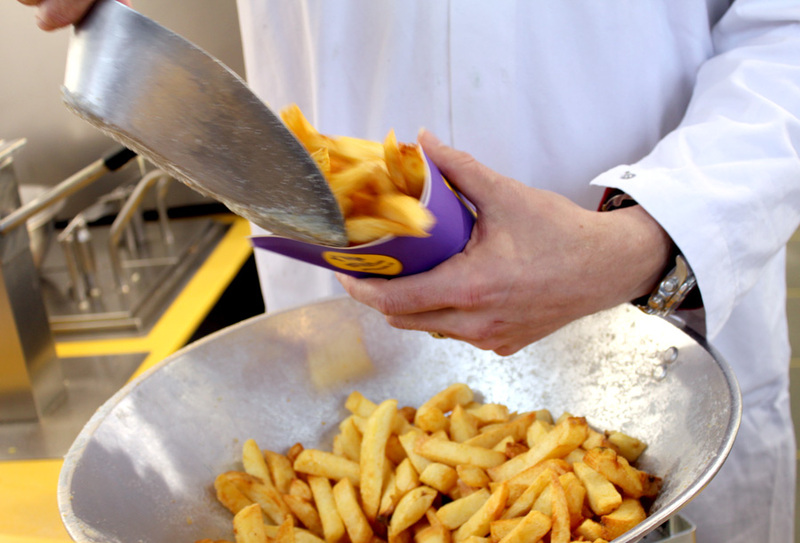 All you need is some "deep-fry skills", that's it. 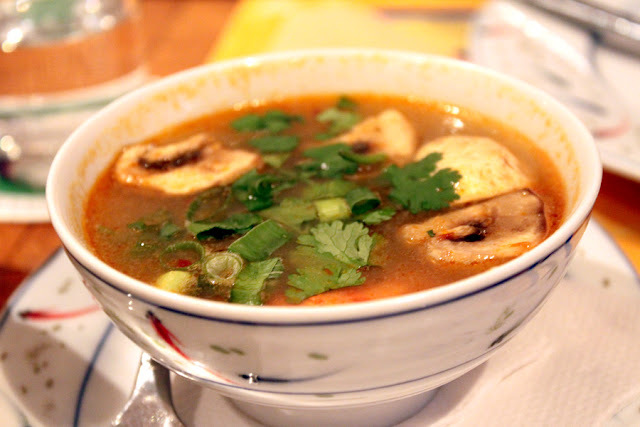 Tom yam clear soup. Clear indeed! Almost tasteless, not sour, not salty, not spicy. What is this? I can't even tell you. Red curry beef with vegetables with TONNES AND TONNES OF BAMBOO SHOOTS!!! 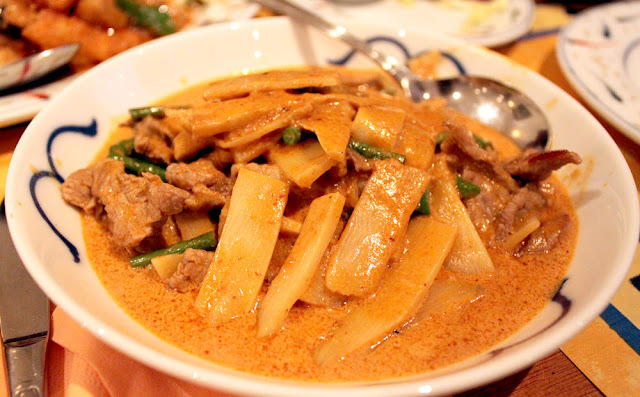 Again, this is a bowl of bamboo shoots, with curry. Who the heck puts that much bamboo shoots into the food??? Is it that cheap? I didn't know bamboo shoots are falling off from the sky nowadays! The restaurant was empty when we went inside. Not operated by Thais obviously, serving lousy dishes that can barely make it to the table. How bout hiring me instead since it's just merely "throwing things into the wok" or instant food? The waiters were super ignorant too, no smiles at all, did not even place the proper cutlery on the table. Oh yes, we were only given forks, am I supposed to drink the soup with a fork or each with ONLY a fork? Goodness gracious, no wonder the restaurant is empty. Value for money? Nothing on the table is worth eating, don't even discuss about the value. NOT recommended at all! It is so bad they should change their name to Restaurant Bamboo Shoots!! Mixed seafood platter - squid, fish, prawns. It came with a bowl of fries. 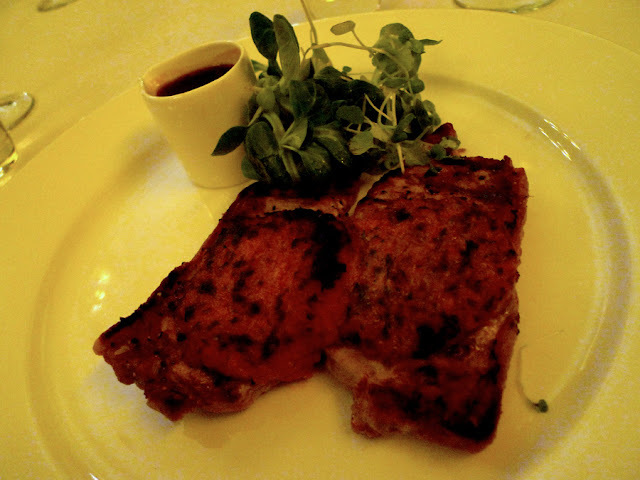 The pork ribs. I believe they didn't marinate long enough so it is lacking in taste.. 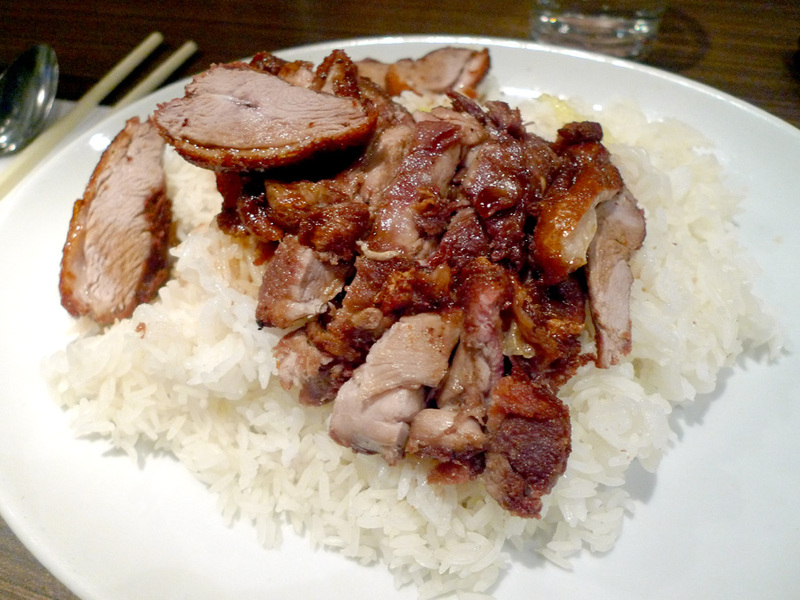 Probably one of the worst duck rice I've ever eaten in Chinatown! It was obviously frozen leftovers, taken out from the freezer and had it deep fried again. Yes it was served hot, but definitely not fresh! 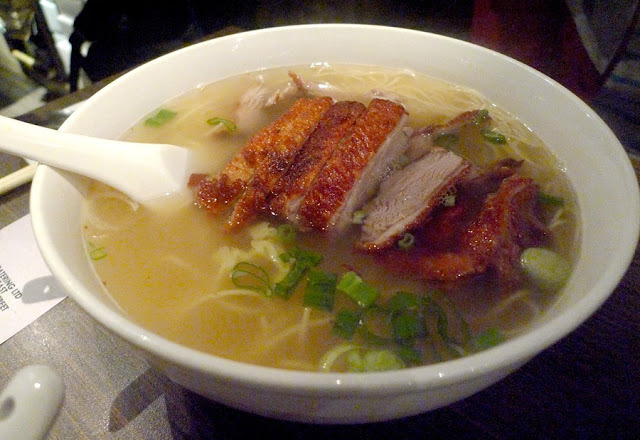 It's the same duck for noodles, except it's served with noodle and soup. Nothing special about their noodles, it's instant ones anyway. Soup is heavily relied on MSG. Shame that they are serving such instant food. 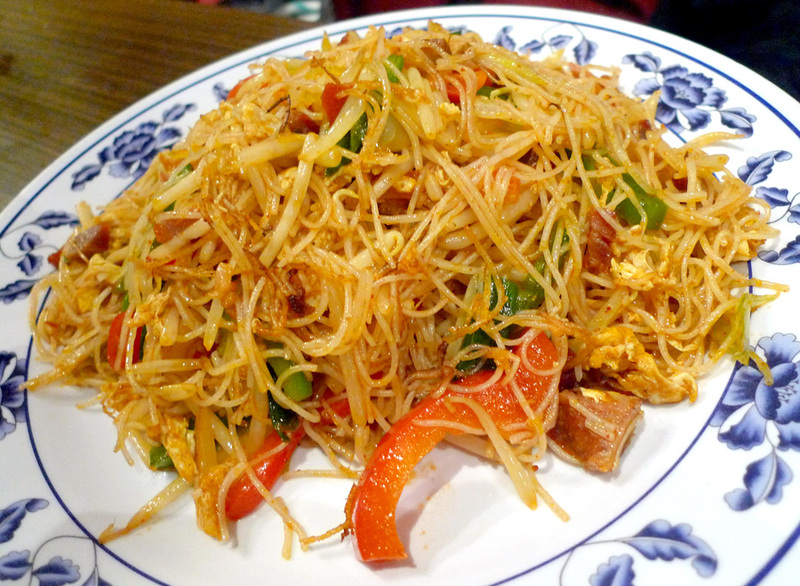 Are you seriously KIDDING me that this is a plate of Singapore fried noodle? They should change the name to SUPER oily and salty noodle! Yes the entire plate of noodle is soaked in oil! MSG content is so high I had to drink barrels of water (ok I was just exaggerating, but at least a few cups) and still feeling dehydrated. The bill was supposed to amount to £19 for a total of 3 dishes and 1 (HORRIBLE Sze Chuan that tastes like a bowl of only starch and vinegar! EW.) soup. 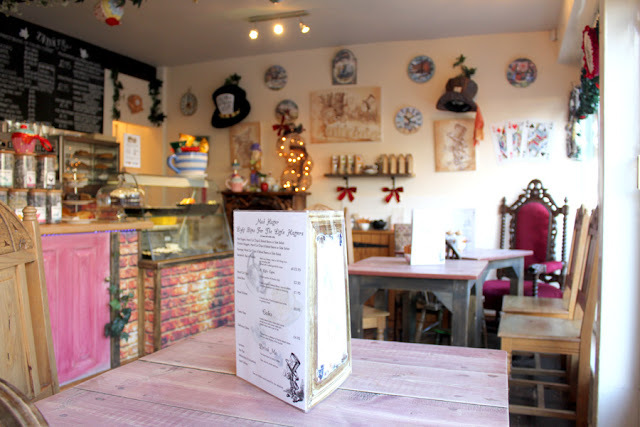 Due to Christmas day being, they AUTOMATICALLY charged us 30% service charge WITHOUT informing us beforehand. 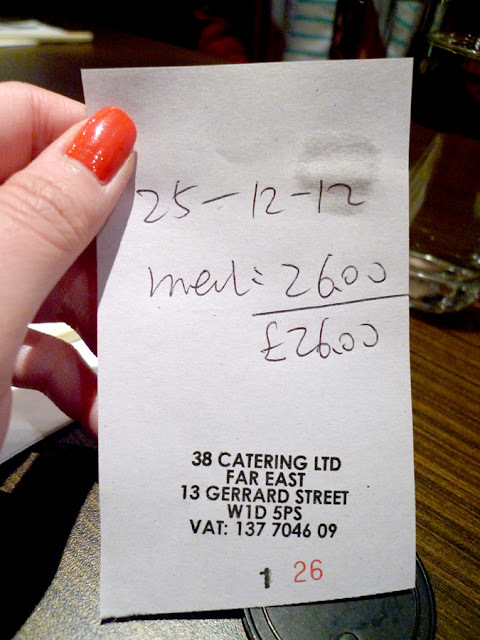 30% of £19 is £5.70, so our bill should amount to £24.70. So we were being charged an extra 30% for microwave / frozen / instant / MSG food. Speaking of the receipt, look at how they actually presented the receipt???? HANDWRITTEN. OVERCHARGING also. Oh gosh. Not just that, their waiters are so unwilling to work. If you're not willing to work on a public holiday then DON'T WORK! Such horrible attitude and terrible management will just drive people away. I will never return to this lousy shop! It's a shame I have to be writing something like that as I'm always pretty tolerant with food, but the poor quality of food totally ticked me off, and poor service contributed too. Unless you want to be scammed, you can always go and try out how horrible their food it. I had to be extra calculative with this restaurant, obviously, because of the quality of food and how we were being served. P/S: I have also lodged a complaint to the necessary authorities. It's time for them to learn that they are scamming consumers! 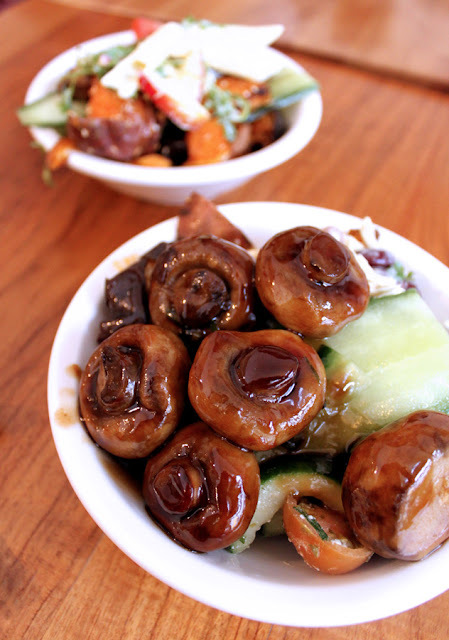 P/P/S: This restaurant is located in the heart of Chinatown. You can't really miss if you happen to be there. A very nice restaurant, or rather food court. As you walk in to the place you'll feel as though you're walking into supermarket's food section. 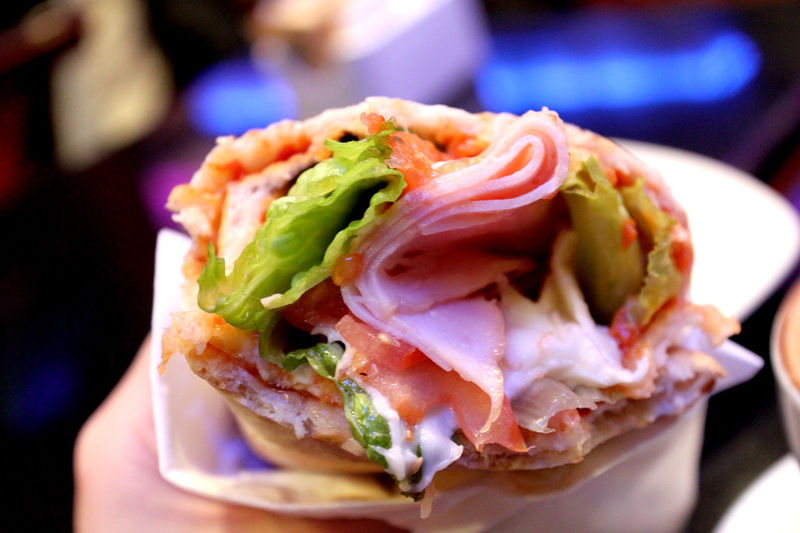 There are a few different booths specializing in different cuisines. 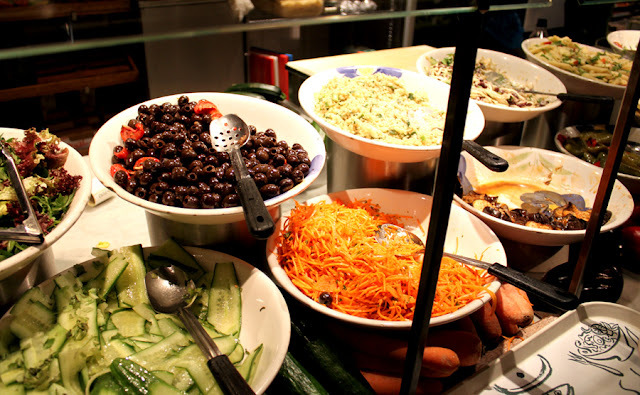 There are booths for salad, grilled chicken, grilled seafood, fish and chips, chinese food, soup, fruits and even drinks. Speaking of drinks, they offer a variety range of healthy drinks - fruit juices, smoothies, mixed fruit juice, everything they can offer for a healthier option. It's a DIY bowl of salad. They charge by the size of the bowl, irregardless how much you actually put in the bowl, so fill up more!! One thing about this place is they prepare everything fresh. 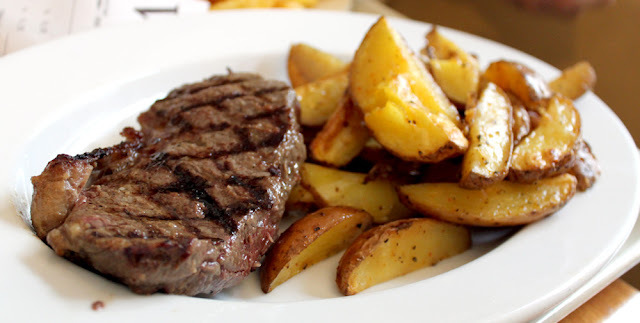 You want a sirloin cut? 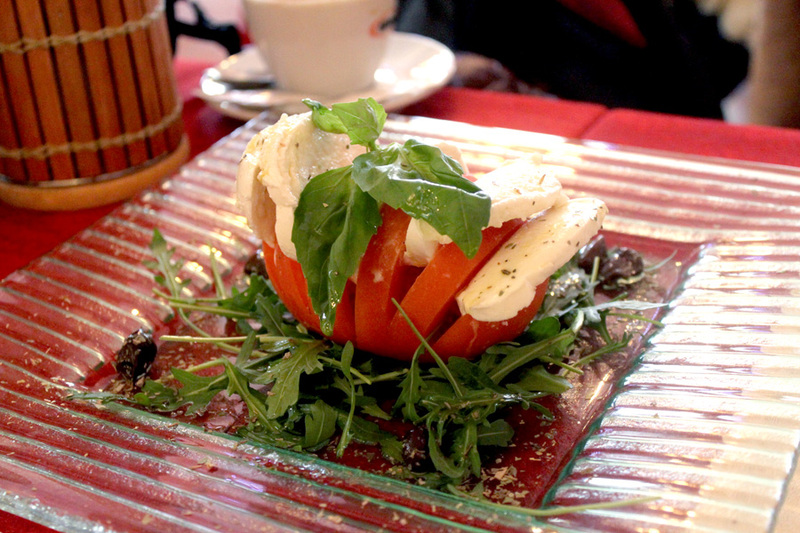 Yup, pick the piece you like and then they'll prepare it fresh. Payment to be made after order, before collection. 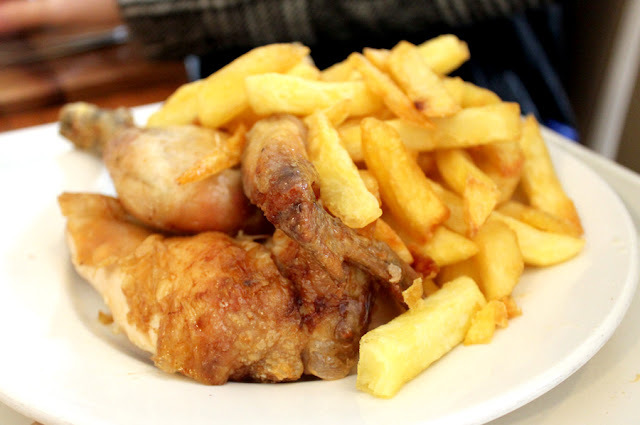 The grilled chicken was really tempting, the smell of the chicken made a long queue but I've decided not to get it because the portion is really huge..
Vlaamse friet or rather, fries, is a must in the Netherlands. Fries with mayo is one of the must-try food. 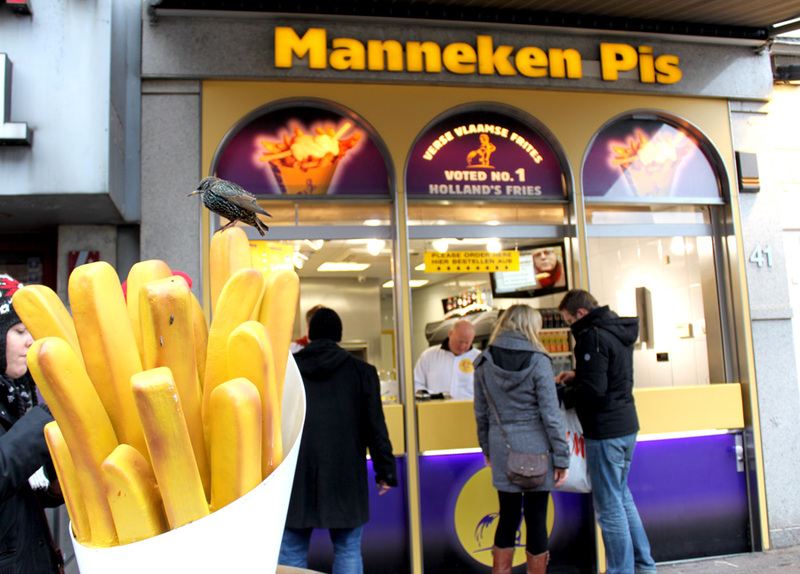 Sounds plain and simple, yet not everywhere in the world serves good fries. Manneken Pis seems to be a popular shop so we gave it a shot and grabbed a portion. Apparently their fries are freshly made, not frozen ones. I believe that's their selling point. It was so cold on that day, popping the fries in seems like heaven. They have a number of sauces to pick from... We picked the original, fries with mayonnaise. Their mayo tastes really good though... Definitely not the ones we grabbed from supermarket, it's way better. They cook it fresh as soon as we paid for it. Served hot - really hot. 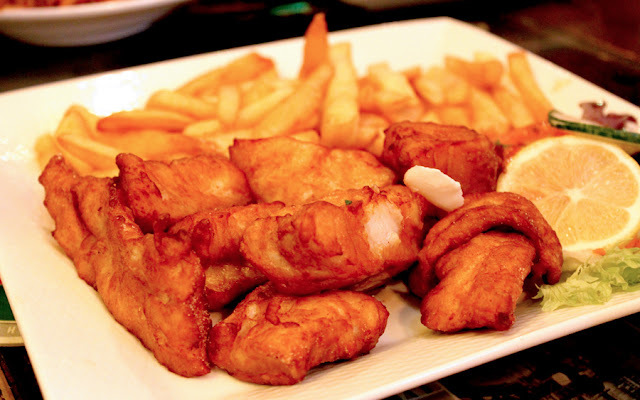 Speaking of which, I think Melbourne's Lord of the Fries serves something similar too - fries with sauces. Except different kinds of toppings and sauces. 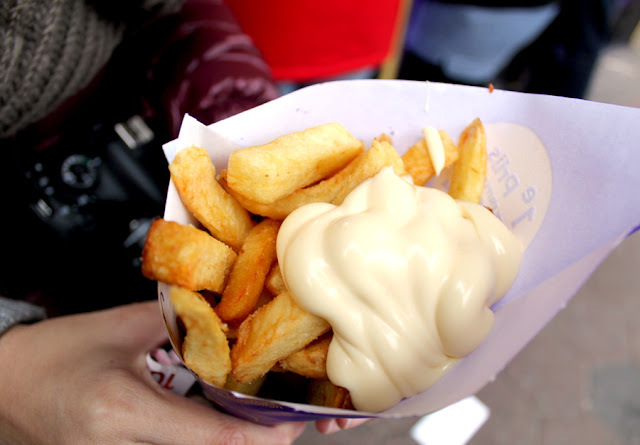 I like the idea of having toppings for fries, even something as simple as mayo. 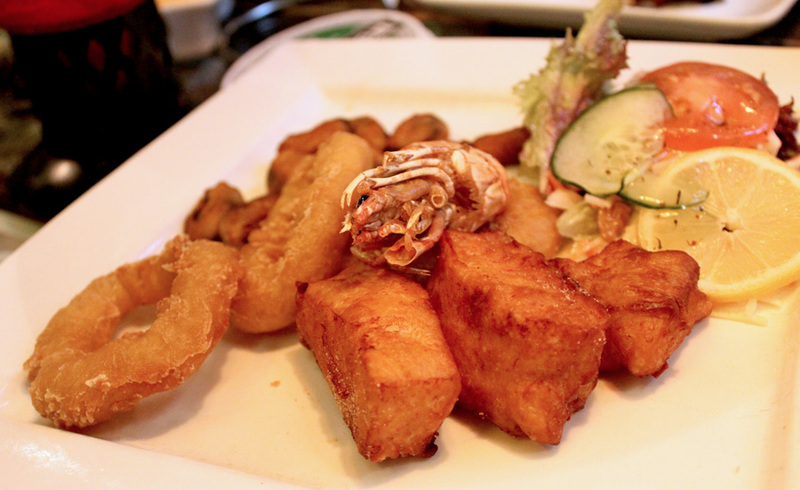 This is a must-try-at-least-once food if you're in the Netherlands. Brussel sprouts with bacon strips. These are plain wooden metal chairs and tables but they painted it to suit the theme. Cuteness overload! 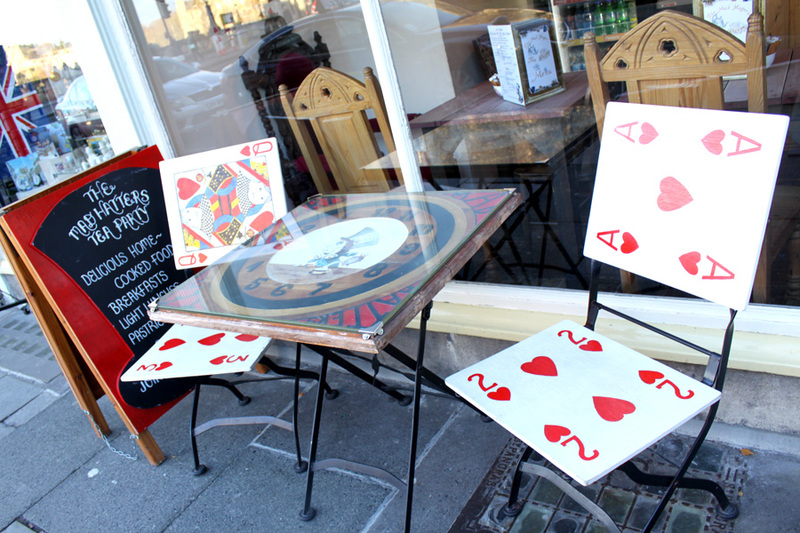 It's a small shop with only about 5 tables. We wanted to get scones as most of the online reviews recommended that it is good. True enough, by 1pm they were all gone. No chance to try the scones :( ! 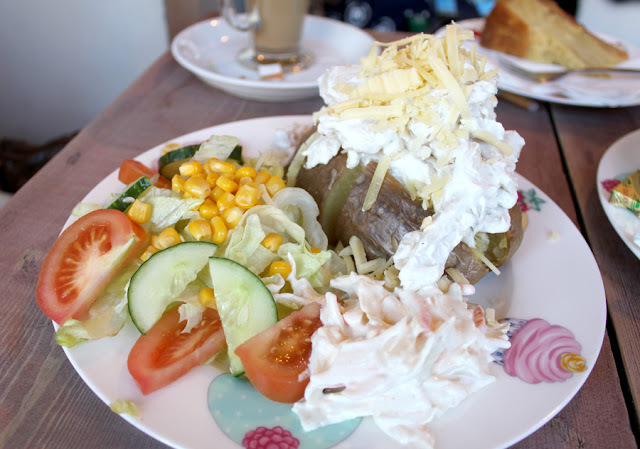 Jacket potato. 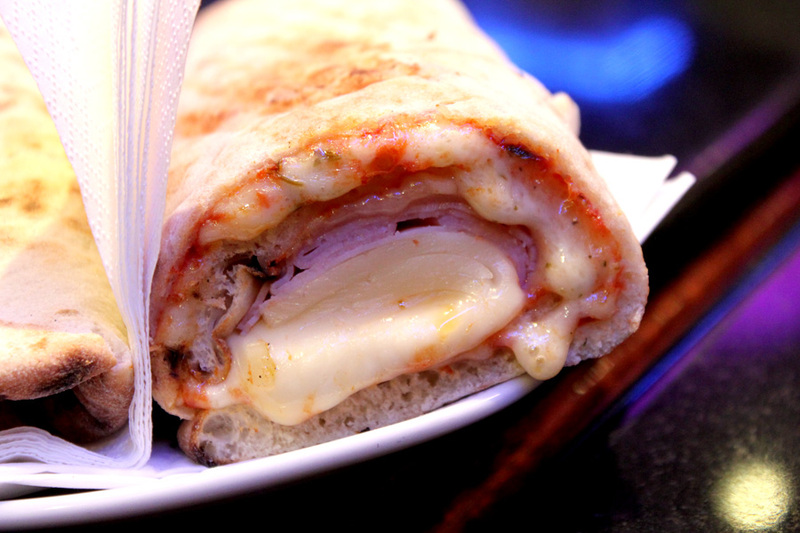 You can customize your own toppings so we chose shredded cheese and mayonnaise chicken. Portion is so huge it should be for two! 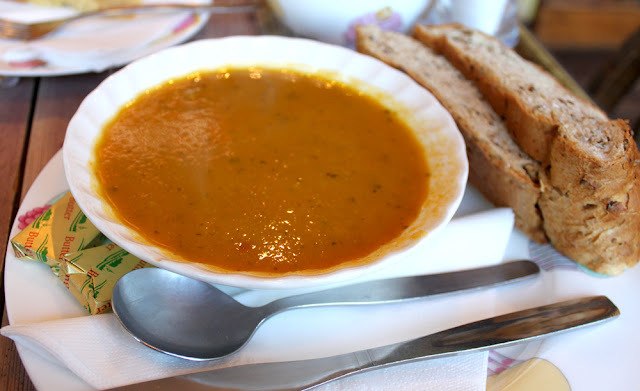 Carrot and coriander soup. Very creamy and thick. It somewhat felt a bit Chinese-y feel because of the coriander. It's really good, very rich in taste. Caramel pear and cherry cake. 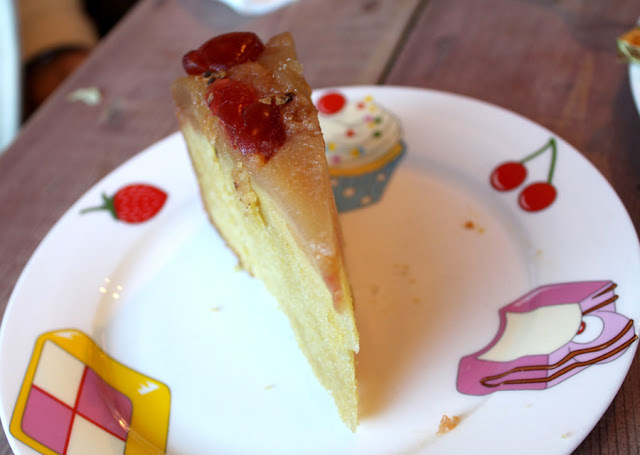 I don't know what to say about this cake, it was my first time eating a cake where there are pears on it. Something different. Well, the pears are soft and sweet and the cake is like a sponge cake, not sweet so it'll compliment with the pears. Perfect! One of the easiest dish, fry garlic till it's brown and then dump all the vegetables in. 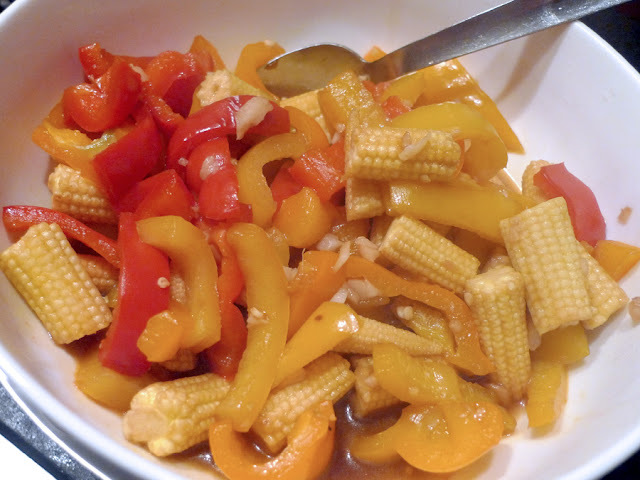 Fry for a short while and then add in oyster sauce and sugar. After that, add water and fry for a little while. You should see the gravy thicken in a while and you're done! Optional: If you love meat, you can add chunks of chicken breast or whatever meat you like. Ok. 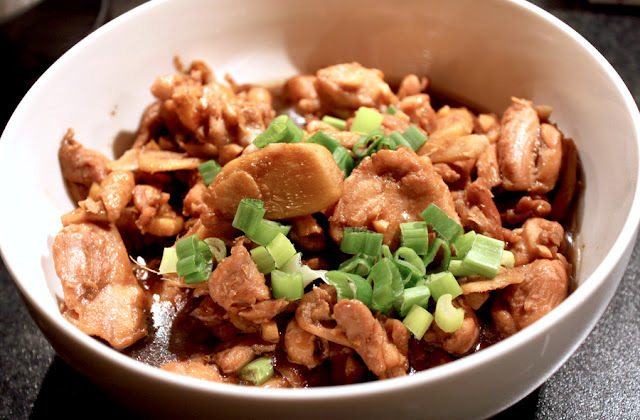 If you have a little bit of time, you can prepare this very typical Chinese style dish. First, fry the garlic and ginger till it's brown. Add in chicken, fry till it's cooked and add in all the sauces (Depends on the portion you're cooking, just add in a little bit of everything!!). Fry for a little while and add in water after. Braise it for about 20 minutes? Make sure it doesn't get too dry though, the gravy should be thickened and not dried up or diluted. Have it braised till the smell of the ginger is strong enough. When it's ready, garnish with spring onions and taa-dah! You're done for dinner! It all depends on what you like, really. Enjoy! 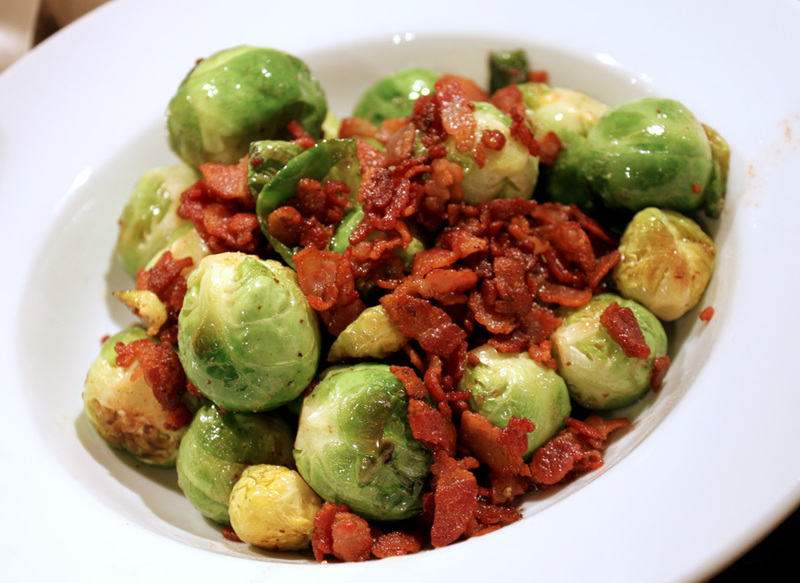 This is quick, simple and easy, yet healthy. 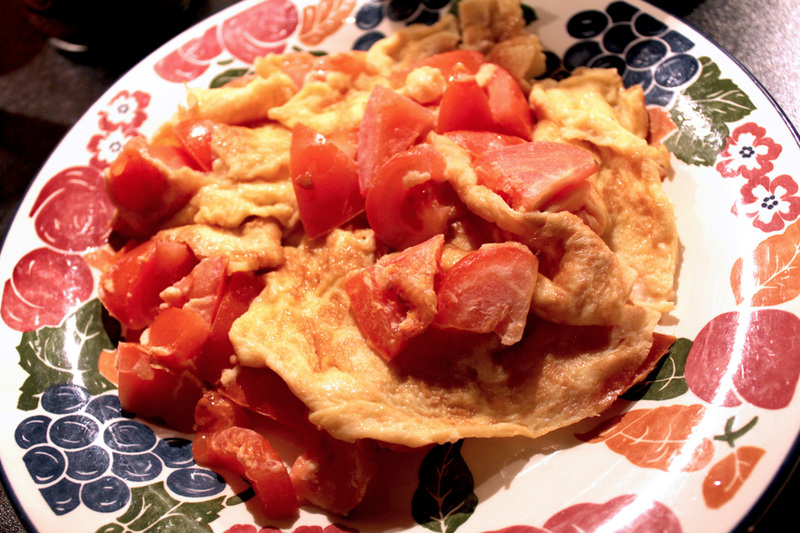 Just fry the tomatoes then add in the egg. Lastly, salt. 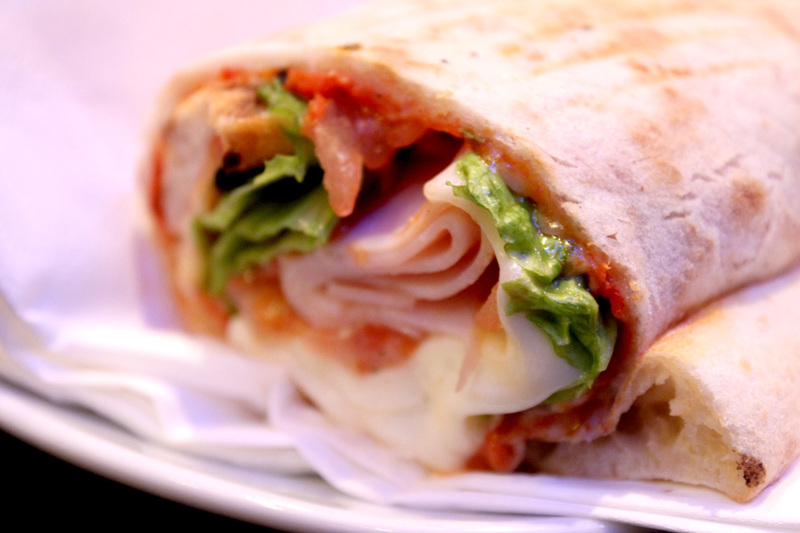 You may want to add pepper for extra taste.